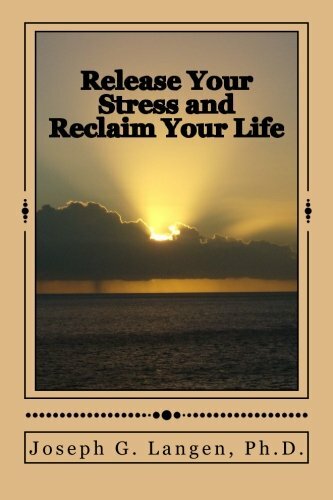 Joe Langen’s Release Your Stress and Reclaim Your Life is an outstanding work. Interestingly the author begins by asking – Do we living in modern America suffer more from stress than our ancestors did? While I, of course, can’t answer that question within the broad scope of history, I can confidently say that during my lifetime the types of stress that come from concerns like: finding and keeping a satisfying, well- paying secure, long term job; facing large medical bills without filing for bankruptcy; and paying for our children’s college expenses and maintain the hope of enjoying a financially comfortable retirement, has certainly increased dramatically (except among those fortunate enough to be among the wealthiest .01 % in our economy) over the last two generations. For such reasons this book is imperative reading for the countless millions who frantically try to weave their way through the cultural maze that constitutes life in America today. The book is clearly written, understandable, comprehensive, and composed by an expert in many aspect of stress – Issues such as: What is stress? How can we identify it in ourselves?, and How can we effectively avoid, manage and/or attack our own stress? Available for a test drive, more information or order at Amazon. This book was written mainly for adults but is also helpful for more mature teens.